Cook pasta per package directions. 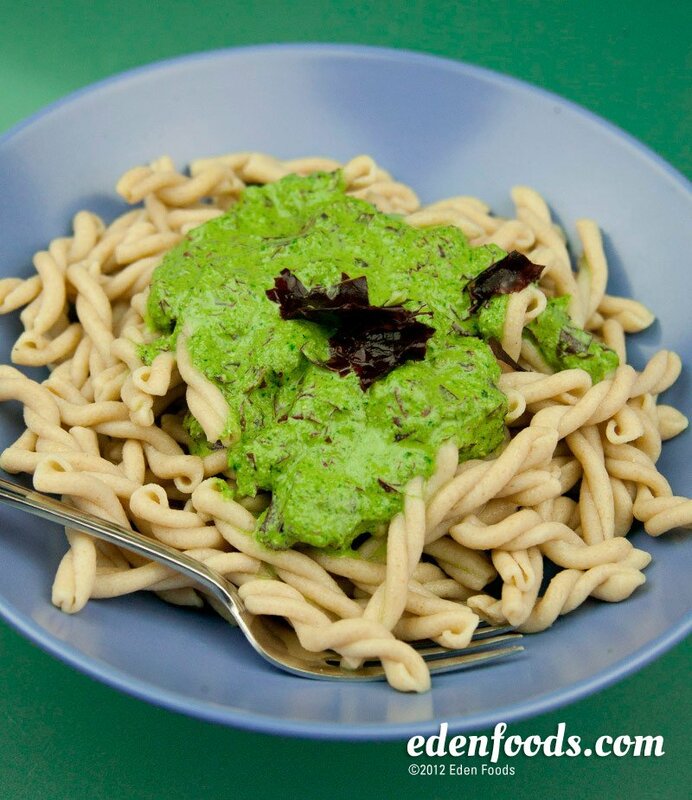 While the pasta is cooking, prepare the pesto by placing all remaining ingredients, except the dulse, in a blender and pulse until creamy. Place the pesto in a serving bowl and gently mix in the chopped dulse. When the pasta is done, rinse, drain and place in individual serving dishes. Serve with 3 to 4 tablespoons of dulse pesto on top.